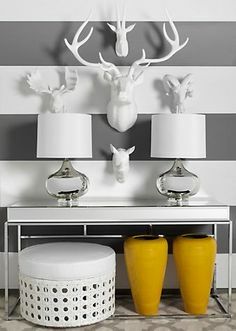 One of the biggest trends of the past few years has been faux taxidermy. 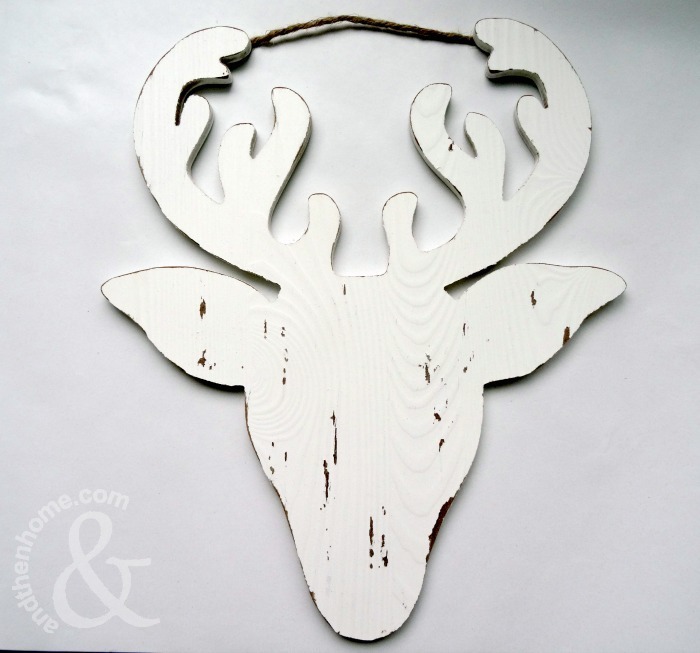 Deer, moose, rhinos, even unicorn heads have been gracing every walls in every colour and texture you can imagine. 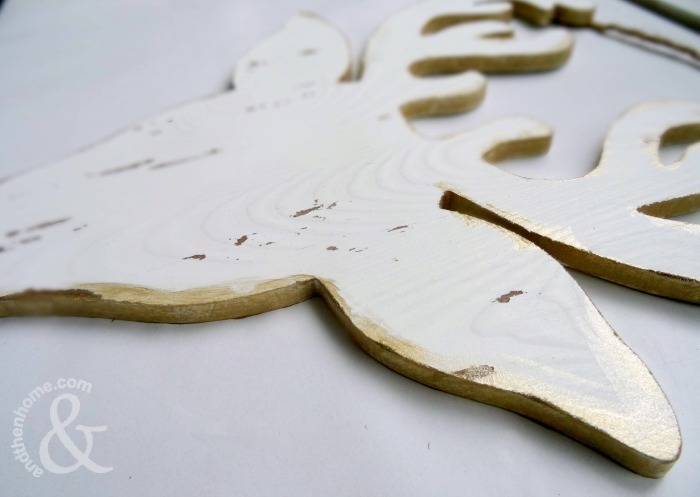 So it’s time we showed you how to make one for your own home, especially because you’ll be shocked at how easy and quick this project is. 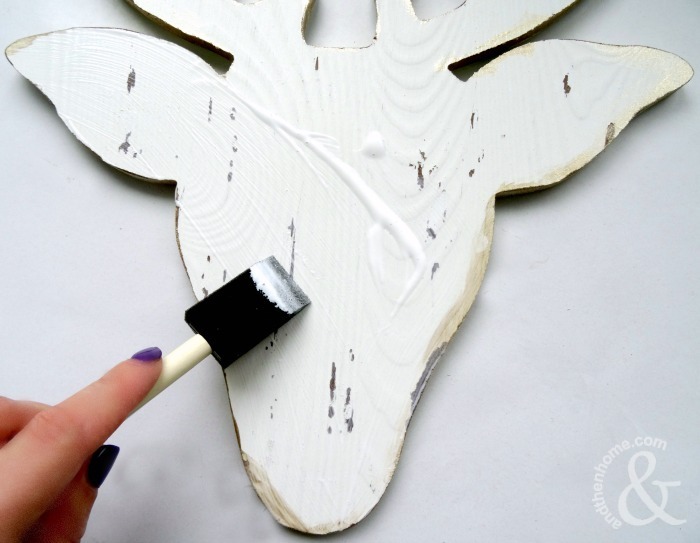 Let’s make this easy faux marble deer head. 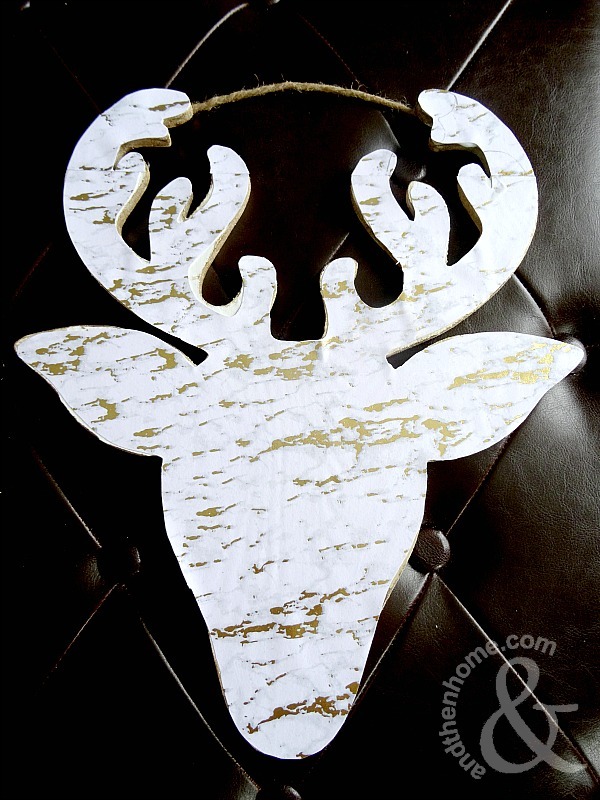 Paint the sides of the wood gold, covering the deer head all the way around. If paint gets on the front of the wood that is fine, this will be covered with the patterned paper. 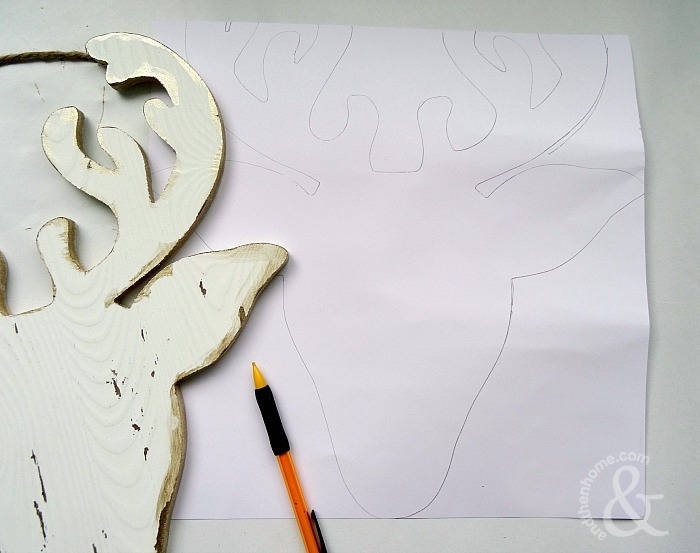 Trace the deer head onto the patterned paper. 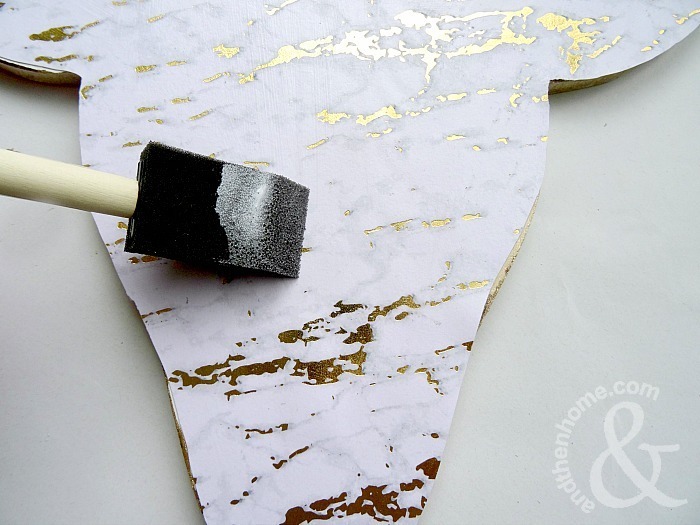 Tip: trace onto the patterned side of the paper. 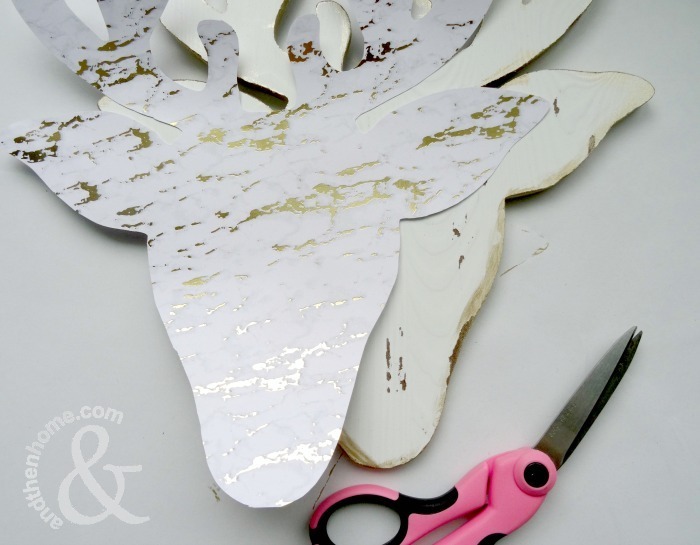 This will prevent the cut-out not fitting the deer head when you flip it over. Cover the front of the deer head with a thin layer of Modge Podge. Make sure its not too thick, puddles of glue will cause the paper to ripple. 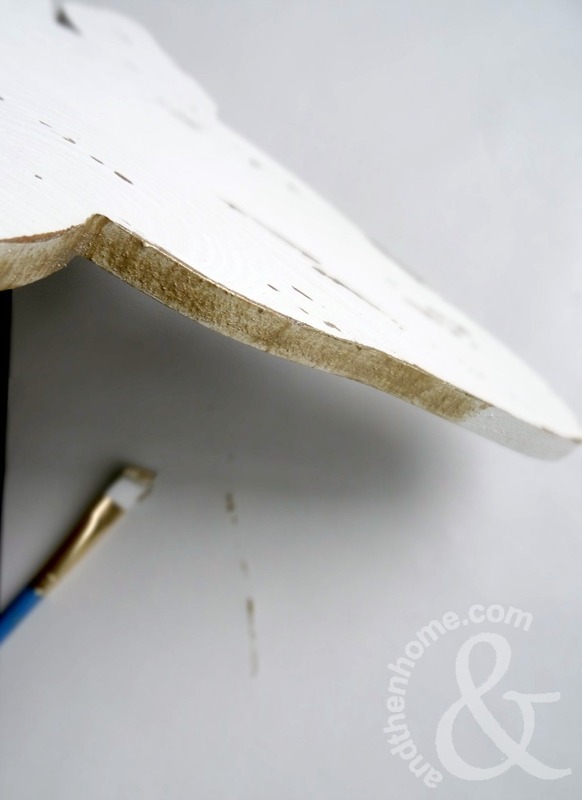 Smooth the paper onto the Modge Podge and cover with another layer to seal the paper to the wood. Let dry and hang! 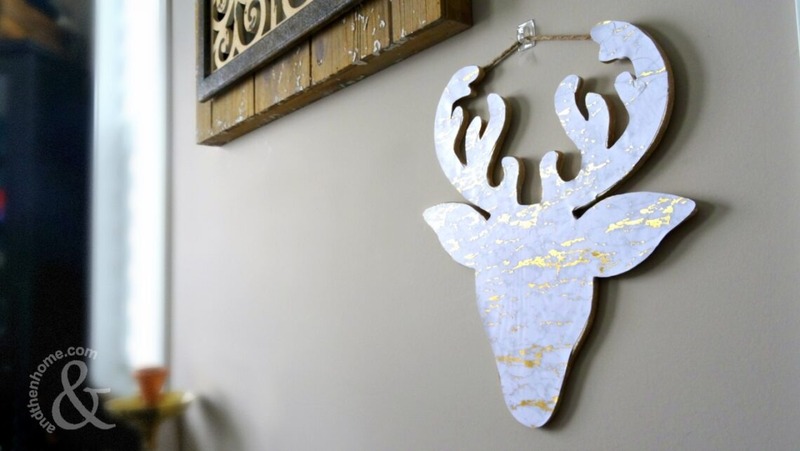 A fresh, modern take on Christmas decor. 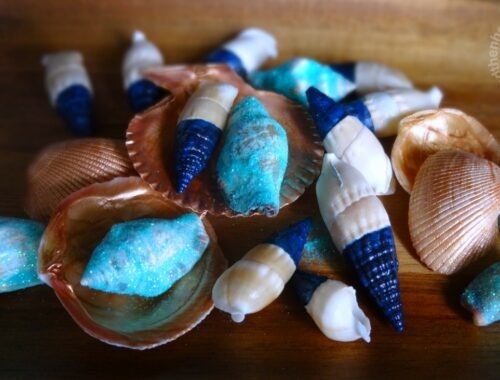 Pick up your supplies while your there….